If your business requires the use of heavy equipment such as forklifts, you want to be sure you choose wisely. There are two main types of forklifts, propane and electric, each with their own advantages and disadvantages. Depending on your needs, one will serve you better than the other. In order to help you determine which option is best for you, you will need to know more about the differences between the propane and electric forklift options. Propane forklifts are very powerful. They operate at a consistent capacity throughout the entire job and are perfect for lifting and moving heavy loads on any terrain with ease. Because they navigate any terrain easily, such as dirt, gravel, different weather challenges like rain and snow, they are perfect for use outdoors on construction sites and can easily transition into indoor use as well. As far as fueling your propane forklift is concerned, these machines can usually complete a job without needing to be refueled, which helps with efficiency for completing jobs as well. The maintenance needs for propane tanks is very low as well. A few of the disadvantages you might find with a propane forklift is that they are not as easy on the planet as electric forklifts since propane forklifts need fuel to operate. They are also very loud when in operation. Electric forklifts are very low maintenance as well. They have fewer working parts and do not require fuel. You need only to recharge the battery for this machine to do its job. You can easily recharge the battery each night to be sure this equipment is ready to go each day or recharge during breaks to make sure it can last for the entire workday. 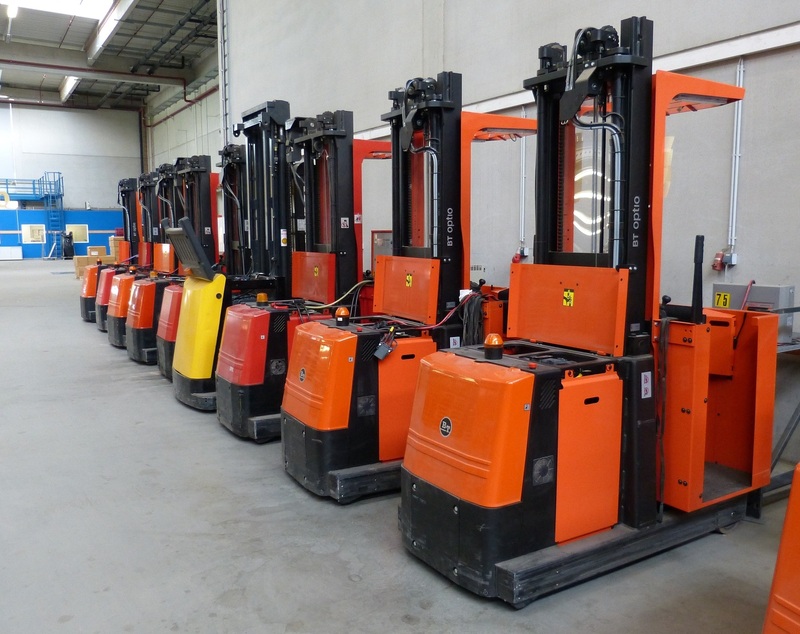 Electric forklifts are typically smaller than propane ones and can navigate narrow spaces better, like warehouse lanes and shelving. They are also quieter than propane forklifts, which is an added bonus. Some disadvantages to electric forklifts are that they are usually more costly than propane forklifts. However, over time they might pay off since they are low maintenance and do not require fuel. You should also consider the inability to complete a job should you lose power and end up unable to recharge the forklift. Electric forklifts are best suited for indoors, which limits their flexibility in the workplace if you need a forklift for different areas.